Claimant was involved in a compensable 2013 work accident with lumbar surgery. Claimant treated for many years with narcotic medications and Xanax prescribed by Dr. Antony. Employer filed for Utilization Review, which found these medications non-compliant. Claimant appealed. The Board denied the Appeal, accepting the opinion of Employer’s expert, Dr. Brokaw, over that of Dr. Antony, that there was no substantial functional benefit or symptom reduction from narcotics. 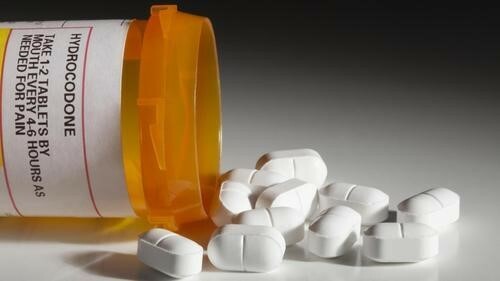 They also relied on Claimant’s own testimony that she was willing to wean off of these medications so long as alternative treatment remained available. Interestingly, the Board did not order Employer to pay for medications through a compensable weaning period, as the Board has regularly done in this scenario in the recent past. As a result, Employer was also not ordered to pay for Claimant’s medical witness and attorney fees, resulting in rather significant savings. It appears that this portion of the ruling was based in part on defense counsel’s argument that no weaning period should be ordered as Claimant did not alternatively request an award for this, and because such an award would not be necessary given that Employer had offered weaning even prior to the filing of the Claimant’s petition. Time will tell whether this decision represents a new trend versus anomaly, but the outcome would appear to further incentivize employers to extend offers in good faith for detoxification as early as possible before Hearing. Plaintiff’s husband worked for an industrial plant for 24 years, regularly handling asbestos products manufactured by Defendant. Plaintiff alleges that the asbestos dust settled on her husband’s work uniform when he left each day. Plaintiff regularly washed her husband’s asbestos-covered uniform and eventually suffered and died from lung cancer. Before she died, she filed a claim against the manufacturers of the asbestos. The manufacturers moved for Summary Judgment arguing they had no duty to the Plaintiff because there was no special relationship. Plaintiff responded that the manufactures made and sold a dangerous product without warning and placed it into the stream of commerce which injured her. Additionally, they owed her a duty, as a foreseeable Plaintiff, to warn of the danger of exposure to the product. The Superior Court ruled for the Manufacturers. Plaintiff appealed to the Delaware Supreme Court. The Supreme Court reversed and found that the Plaintiff was a foreseeable Plaintiff. 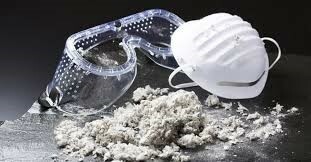 Because the risk of harm for take-home asbestos exposure when laundering asbestos-covered clothing is reasonably foreseeable, a Plaintiff has a viable claim against a manufacturer who fails to warn and provide safe laundering instructions to an employer that exposes its employees to the manufacturer’s asbestos products. The manufacturers’ reasonable duty of care only required them to provide adequate warnings and safe laundering instructions to the employer so it can provide this information to its employees. Therefore, if the manufacturers failed to give warnings and safe laundering instructions to the employer, the Plaintiff would have a viable claim against the manufacturers. Plaintiff brought a claim under the Employee Retirement Income Security Act (“ERISA”) against the Defendant, seeking payments of allegedly past-due benefits and a determination of her rights to ongoing long-term disability benefits. Motions for Summary Judgment were filed and the Court denied Defendant’s Motion and remanded the case back to Defendant to investigate and gather more information about how the Plaintiff’s physical diagnoses affected her earning capacity. Three years after the remand, Plaintiff reopened the case and filed another Motion for Summary Judgment contending the Defendant failed to focus on her Fibromyalgia (“FMA”) and Chronic Fatigue Syndrome (“CFS”) related symptoms and how those symptoms affected her earning capacity. Whereas, Defendant asserted that the termination of Plaintiff’s benefits was not arbitrary and capricious because it considered all medical evidence, and that evidence did not support the conclusion of her treating physicians that she was disabled. The Court found Defendant’s termination of Plaintiff’s long-term disability benefits was arbitrary and capricious because Defendant failed to address how Plaintiff’s physical diagnoses impacted her earning capacity and engaged in selective use of medical records and reports. Whereas, Plaintiff provided evidence of CFS and FMS symptoms including pain at “trigger points,” fatigue, and the inability to walk, stand, or sit comfortably for an extended period of time. The Court found Defendant’s findings were not based on substantial evidence and granted Plaintiff’s Motion for Summary Judgment, awarding payment of past-due benefits and rights to ongoing benefits. Should you have any questions regarding this decision, or any liability law questions, please contact any attorney in our Employment Law Department. On July 25 1914, Annette Abbott Adams became the first woman Assistant United States Attorney, when she was sworn in as the Assistant United States Attorney for the Northern District of California. After having been one of the first two woman admitted to the California Bar in 1912, she practiced law in Quincy, and then in San Francisco, before becoming Assistant U.S. Attorney, 1914-18, and U.S. Attorney, 1918-20. After serving as Assistant U.S. Attorney General, 1920-21, she returned to San Francisco and practiced law there until 1935, when she was appointed Assistant Special Counsel of U.S. oil litigation. In March 1942, she became California’s first female appellate justice when Governor Olson appointed her Presiding Justice of the Court of Appeal, Third Appellate District. Heckler & Frabizzio paralegal Stephanie Dzedzy received a certification from the American Council on the Teaching of Foreign Languages for the translation of the Spanish language. Stephanie’s family heritage derives from Mexico, and her mother taught her to speak Spanish at a young age. In the 8th grade, Stephanie was an exchange student in Mexico where she mastered the language. Stephanie is a paralegal in our Workers’ Compensation department and works with our clients to deliver the highest quality legal services. On July 17th at 12:50 pm, New Jersey admitted Attorney Jessica Whaley gave birth to Rosalee, weighing in at 7 pounds 13 ounces and 21.5 inches long. Both mom and baby are healthy and doing great! Jessica says she loves being a mom and feels complete. We are thrilled for Jessica, her husband Neal and Rosalee! Topics include: Basic Workers’ Compensation overview (3 credits), Terminating Total Disability (1 credit), Adjuster Ethics (3 credits), as well as Delaware Investigations (2 credits). 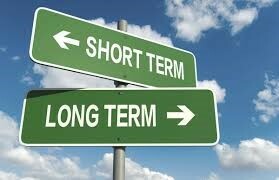 For more information regarding our seminars, please contact Page Hyson, Firm Administrator.